Matthew Carey and Benjamin Warner: THE SOUTHERN STATES AND MISSISSIPPI TERRITORY. Published 1812-1816. 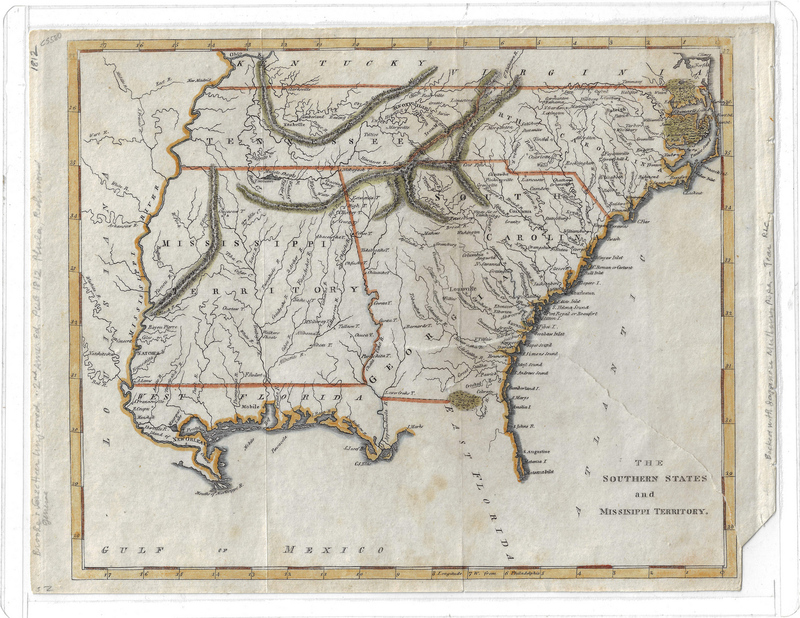 Scarce engraved map depicting the Southeastern United States, including Tennessee and Kentucky, prior to Alabama and Mississippi Statehood and the Adams Onis Treaty; the border between South Carolina and Georgia is undefined, and Florida is divided into West Florida and East Florida. 7 1/2" x 9 3/4" image, 8 1/4" x 10 1/2" sheet. Unframed, sealed in plastic sleeve. Provenance: The estate of Dr. Benjamin H. Caldwell, Nashville, Tennessee. 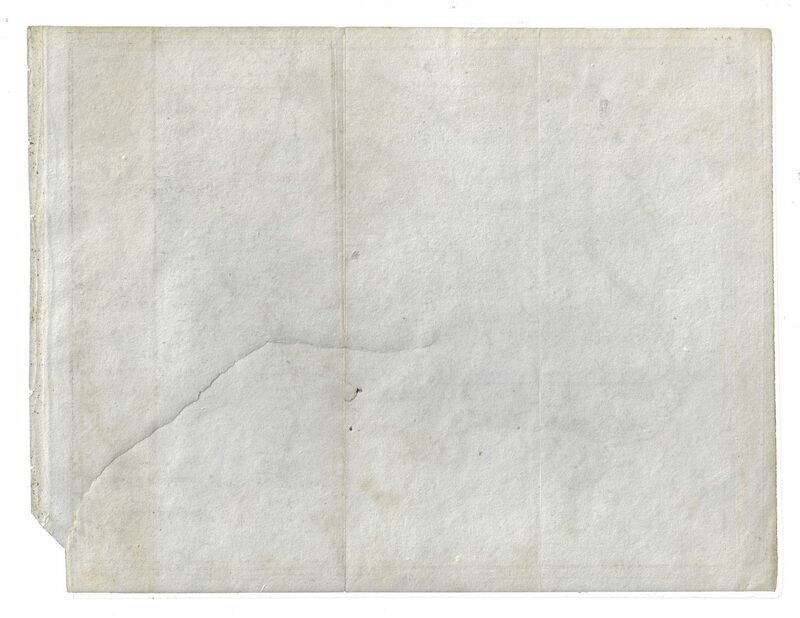 CONDITION: 1 1/4" H x 3/4"W loss and 3 1/2"L tear lower right corner, backed with Japanese mulberry paper.